Do you have a mobile application or even a website that has been developed? Aren’t you sure about the final result of the software that the mobile application company that you hired is the best software possible? 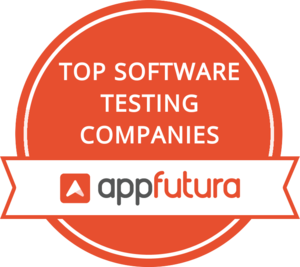 At AppFutura we have a list featuring the Top Software Testing Companies around the globe. These Top Software Application Testing Firms are totally independent companies that will study and test all the software that you deliver. With plenty of high-efficiency software tests, these Top Software Testing Companies will mark the work of your mobile app development company before launching the mobile app or the website to the general public. With the test done by the best software testing companies, you will have an independent view but also an understanding of the risks of your software before publicly launching it. To test the software they include top-notch informatical programmes that will execute the mobile application to look for software bugs, also known as errors or failures. If any of the Top Software Application Testing Firms that you hire can’t find any software bug is because you hired the best app developers in the world. But if you aren’t sure, get in touch with the team at AppFutura to hire the top software testing companies.